Take a walk, 5 times day. It's believed to be the first program of its kind in the U.K. The health benefits of engaging with nature are numerous. Since October 5, doctors in Shetland, Scotland have been authorized to prescribe nature to their patients. It's thought to be the first program of its kind in the U.K., and seeks to reduce blood pressure, anxiety, and increase happiness for those with diabetes, a mental illness, stress, heart disease, and more. 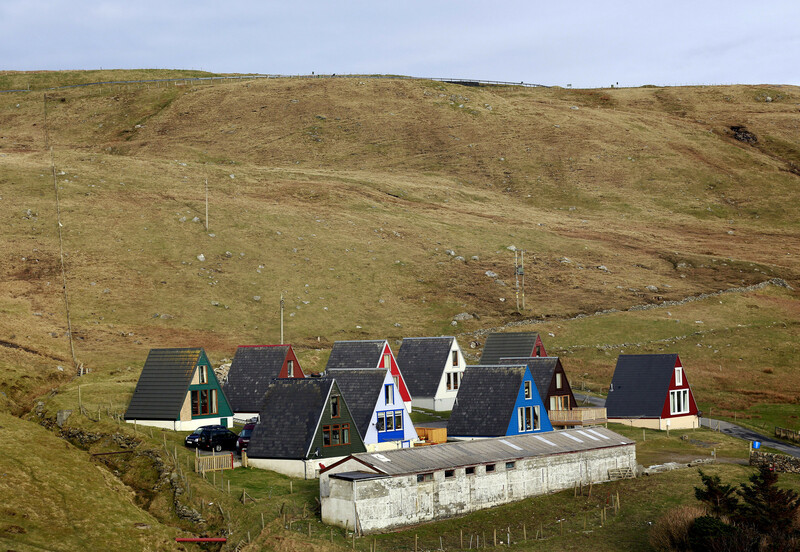 Scandinavian-style houses stand in a remote glen on the Shetland Islands April 2, 2014. In Landmarks, the writer Robert Macfarlane bemoaned the disconnect between the landscape and the words used to describe and engage with that landscape, as well as all that disconnect implied. The book attempted to serve as something of a catch-all for words Macfarlane worried were being lost. There are Shetlandic words in the book, including grumma (mirage caused by mist or haze rising from the ground), flaa (hunk of turf, matted with roots of heather and grass, torn up by hand without a spade and used in thatching), skumpi (clumsy, lumpish peat; outermost peat in each row as the peats are cut out of the bank), dub (very deep bog or mire), yarf (swamp), iset(color of ice: isetgrey, isetblue), and others.